Store frequently used items near the front of your unit and allow room for walking. 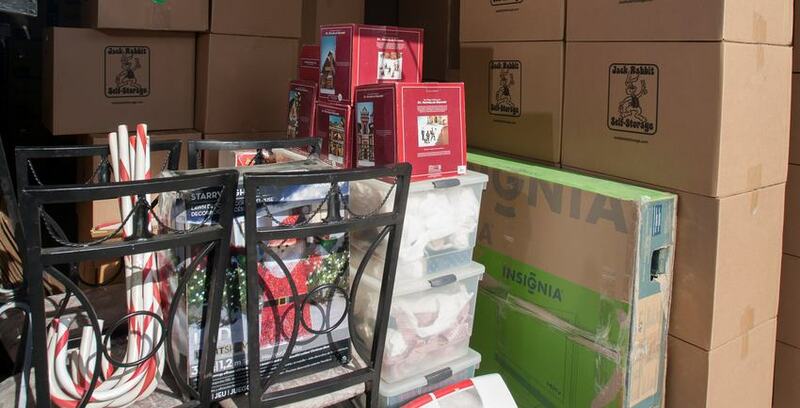 Store seasonal clothing in separate boxes near the front of your unit for easy access when needed. Stack boxes containing lighter items and breakables on top of those containing books or other heavy items. Use pallets, 2×4’s, or other slats to keep goods from direct contact with concrete floors and block walls. Remove table legs when possible to save space and stand table top on end. Store refrigerators and freezers with door ajar or removed. Use the shelves to store other light boxes or bags. Store sofas and love seats standing on end and on pallets, if possible, to save space. Remember, the lock on your unit provides the last line of defense against an intruder. The better the lock, the better your defense.